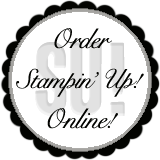 I'm having so much fun playing with the Dress Up product suite from Stampin' Up! Have you played with it yet! 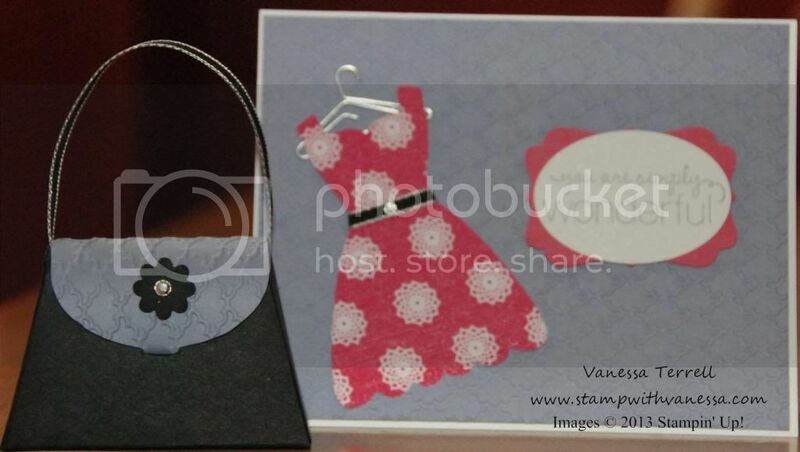 Today I made a card and a fun 3-d item to go along with it. Too much fun. I have seen so fun ways to use these products. I used my Dress Up Framelits with fabric today! Here is what I came up with...here are both my projects together. I must apologize for the fuzzy photos today...not sure what happened! 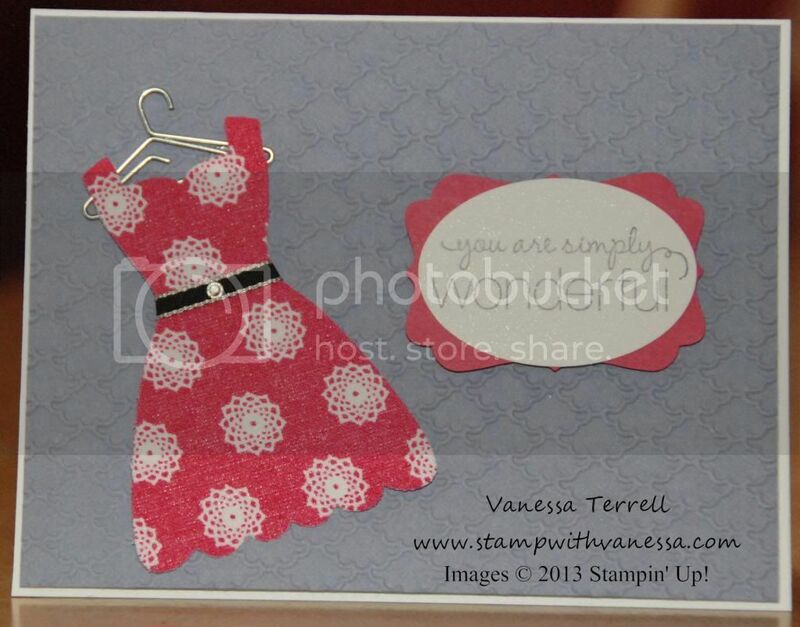 Here is just my card! 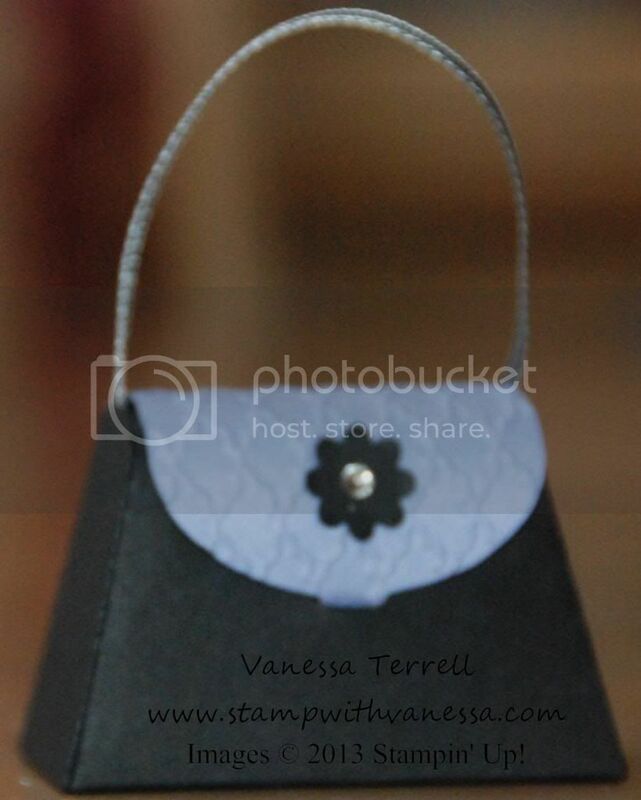 Here is just the cute little Petite Purse!